An ongoing project collaborating with other artists on the theme of how and why humans collect objects. 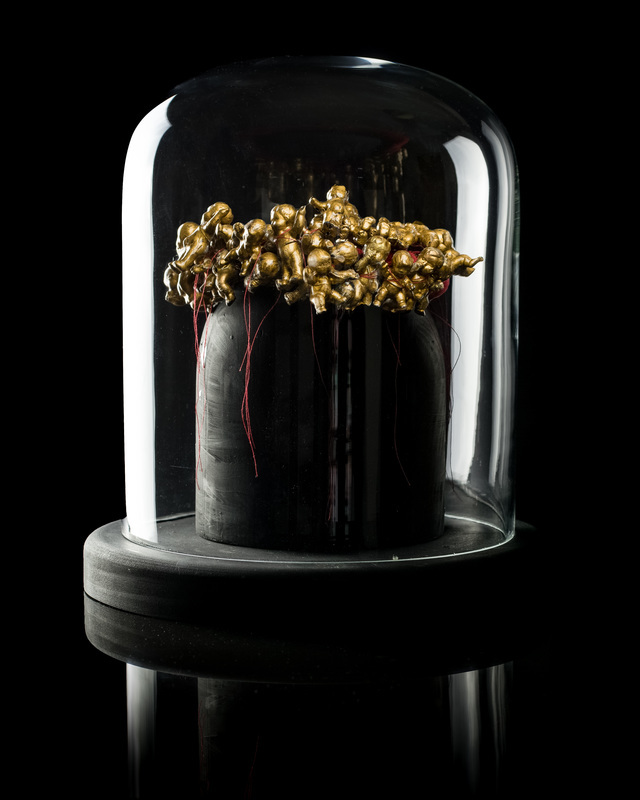 A collection of work based on reliquaries - fragments preserved. A series of collages and assemblages is based on found photos of unknown people. A commissioned project from Chrysalis Arts Development created for Yorkshire Festival 2014, the first ever cultural festival to precede the Tour de France. This is a curious tale of the disappearance of Miss Emmeline Larkspur with puppetry, storytelling and visual art 5th June - 7th July 2014 located on the Cold Bath Road in Harrogate, North Yorkshire. A small series of works around postcards for Edwardian Postcard Project at Lancaster University 2010. Click HERE for more images & information. Pieces from a variety of themed exhibitions, click HERE for more information & images.